Redbox Readies Streaming Netflix Rival, But Why? Redbox, the DVD rental kiosks Hollywood loves to hate, isn't wasting any time picking up the slack left behind after Blockbuster went bust. 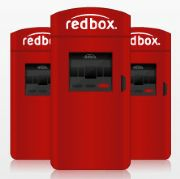 Starting June 17, more than 21,000 Redbox kiosks nationwide will rent top video games for the PlayStation 3, Xbox 360, and Nintendo Wii, for $2 per day, the company announced. Redbox has been experimenting with video game rentals in 5000 of its kiosks over the past two years and is now betting that the same people renting DVDs and Blu-rays from supermarkets and fast food joints will want to bathe in the gore of Mortal Kombat. At first, these Redboxes will have 20 titles on hand, with plans to increase that number to 24. You can check out Redbox's Web site to see what games are now stocked and place reservations online. Indeed, making video games available for grab-and-go rentals is a smart move, and sure to satisfy your need for instant gratification. After all, there are no big box video stores around anymore, and the only other method of renting games is deliver-by-mail GameFly. Now let's see Redbox get into online streaming--and possibly online game streaming.